More than half of all campus jobs have at least one indicator of precarity, a new report says, with temporary roles steadily on the rise over the past two decades and more employees juggling multiple jobs. The study released Thursday by the Canadian Centre for Policy Alternatives found that while temporary workers accounted for 26 per cent of the college and university workforce in 1998, they made up 38 per cent in 2016. The proportion of temporary employees holding more than one job also increased from 2 per cent to almost 6 per cent over the same time period. “The data demonstrates that there are shifts happening,” said Erika Shaker, the CCPA’s director of education and outreach. Using data from the Labour Force Survey, the report assessed what it called three indicators of precarity in campus roles: temporary workers, multiple job holders, and unpaid work. Around 53 per cent of post-secondary employees now experience at least one of those indicators, the study said. The proportion of those who experience none of those indicators has dropped from a high of 58 per cent in 1999 to 47 per cent in 2016. While the share of workers with just one element of job insecurity has remained stable at around 40 per cent, the share experiencing two of the indicators has almost tripled from 5 per cent to 14 per cent. The report also solicited input from campus staff, some of whom described being unable to raise their students’ concerns or safety issues with their employer for fear of losing work, financial insecurity, and mental health issues. 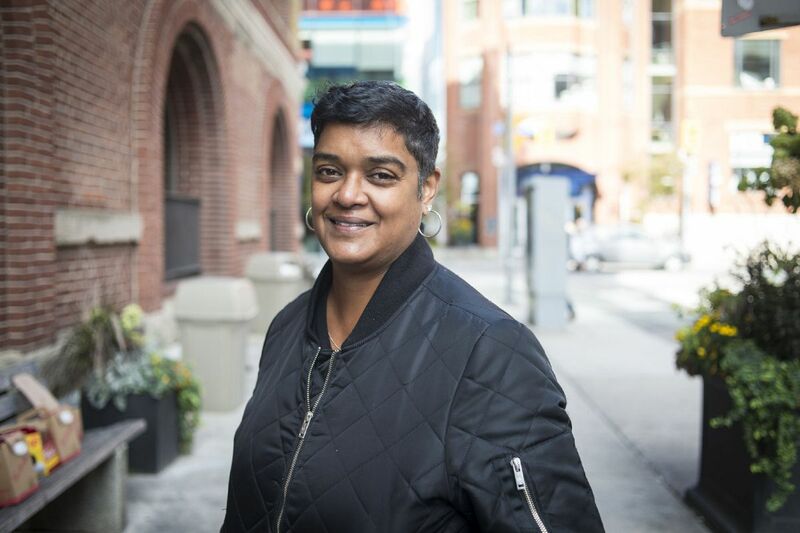 Nadine Sookermany has been part-time faculty at George Brown College for almost 12 years, juggling it with a job in the not-for-profit sector and as a single mother. But those opportunities, she found, are increasingly rare. Instead, she is left wondering anew each semester how many courses she will get to teach and what contracts will be available. Ultimately, she decided to take a full-time role as the head of a small non-profit — a role that could also evaporate if the organization does not get core funding. “It reflects the systemic issues that exist in our society that people … are sometimes afraid to talk about as well for fear of being targeted or excluded,” she said, adding groups like women and people of colour are disproportionally impacted. The issue provided significant impetus for last year’s five-week long strike by Ontario college faculty, which was ultimately ended by back-to-work legislation passed by the provincial government. The CCPA study looked at all job categories on campus, from academic instructors to student services and plant operations. It found that full-time university professors as a proportion of the campus workforce crept down from a high of around 20 per cent in 1999 to 15 per cent in 2016. Overall, according to the study, traditionally stable jobs like librarian roles have dwindled while research and teaching assistant positions, which are more likely to be temporary or part-time by design, are on the rise. The growth in research and teaching assistants outpaced university enrolment, indicating that “perhaps work that might have been performed by another category of employee is being shifted to a job category that is already inherently less stable,” the study said. Temporary workers are increasingly likely to work part-time and to work unpaid overtime, which Shaker said may be partly driven by the increase in more precarious job categories like TAs. “There’s sort of a stacking effect, or compounding effect,” she said. “I think it does raise issues of how we ensure that we are not reproducing vulnerabilities and we’re not creating a workforce that is literally contingent on people who can’t afford to say no,” she added. The report notes that student fees, rather than public sources, make up an increasingly large part of funding for post-secondary institutions.